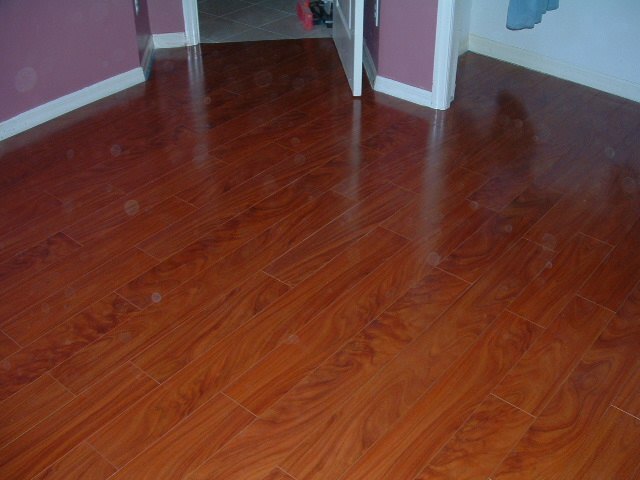 This is Lumber liquidators St James laminate flooring review. 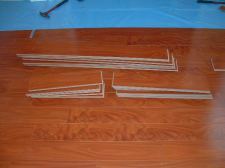 This review is based on my experience from installing this flooring. St James is a 12mm thick laminate with a 3mm attached pad on the back. I would say the main advantage to using a thicker laminate such as a 10 or 12 mm is it gives a more solid feel when walked on. The color I installed was African Mahogany. 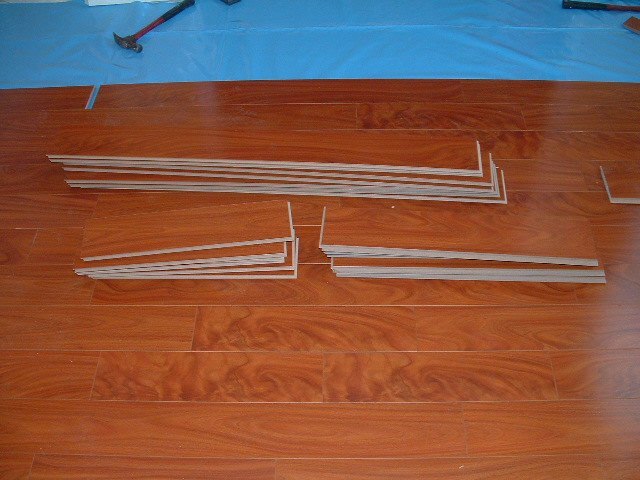 The planks come in three different lengths which makes it look like real hardwood flooring. When installing laminate with the three different sizes you need to be aware of where your end joints are so you don't end up with the end joints too close together. You need to keep them at least 8 inches apart. 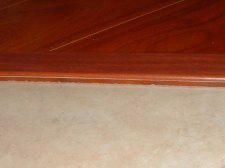 The locking system allows the planks to be tapped together while laying flat, which makes it easier to install, especially around door jambs. The core material is strong and hard to damage when working with. It has a AC 3 Rating which is good for residential use. Lumber liquidators St James laminate also comes with a 30 year warranty. 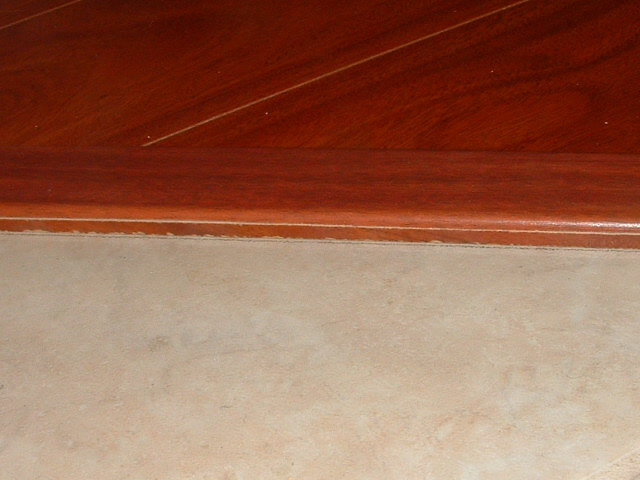 All 4 edges have a V-groove which gives the floor a distinctive look as each plank can be seen individually. 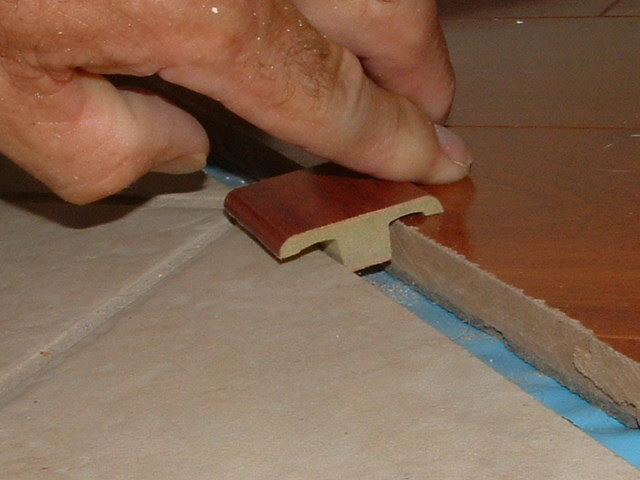 The V-groove also helps along the edges to hide imperfections. I was impressed with the cost of this laminate. My clients paid 1.99 per sq/foot for it. It was on sale from the regular price of 2.39 per sq/foot. This isn't bad considering there is a 3mm pad attached to the back. 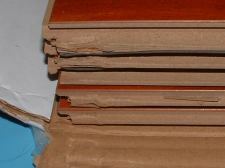 Padding can cost from .25 to .65 per sq/foot. I installed this on a concrete slab which requires a moisture barrier. I'm not sure what my clients paid for it but it isn't too much. 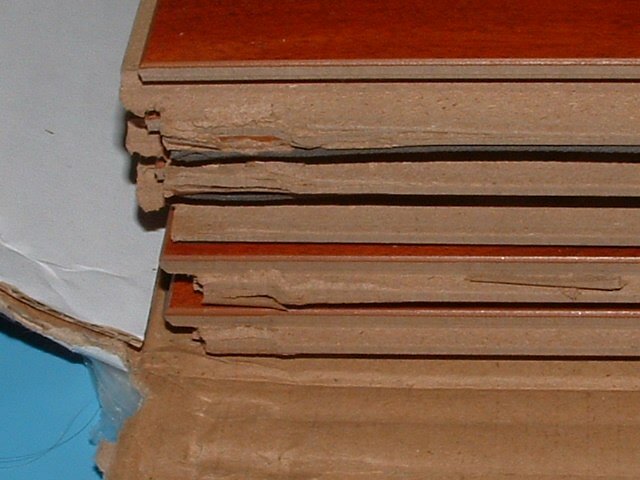 Sometimes when installing a thicker laminate flooring you may run into unexpected problems, such as ceramic tile that is not as thick as the laminate flooring. 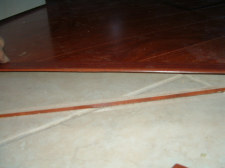 In this case you may need to alter the transition where the laminate and ceramic join. I cut a thin strip of the flooring to fill the space on the one side of the T-Mold, where the ceramic tile in this case is lower than the laminate flooring. You have to measure the the gap that needs filled or cut sample thicknesses of the flooring until you get the T-mold to sit level. 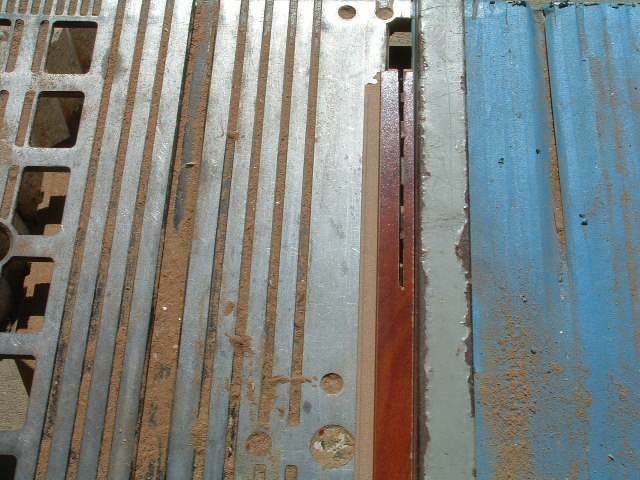 once you know how thick it is, cut some strips on the table saw. After cutting the strip I glue it to the T-Mold with some construction adhesive. You end up with a transition that sits level and looks good. After I glue the transition down I use some matching putty to fill in the spaces along the front edge of the transition. They don't sell transitions that automatically fit every situation so this is a good way to fix the problem. The only down side I found when working with this product was the amount of damage I saw. Most of the damage was to the locking system edges. This did not effect the top of the laminate that you see. To fix this I just break off the damaged pieces and I could still connect the planks together. I didn't find any damage to the top surface to speak of. 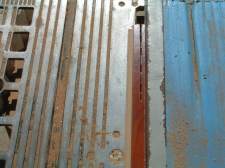 Most often the damage is due to sloppy handling or tow motors banging into the pallets or even when the products are being shipped in the trucks. 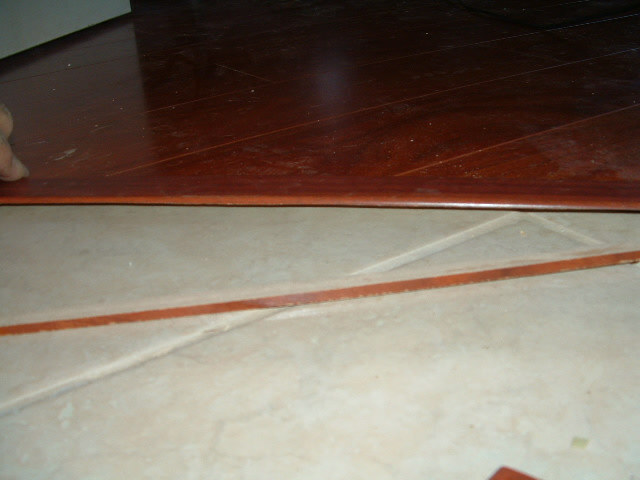 This can happen with any brand of laminate flooring from any supplier. Lumber liquidators should exchange any damaged products you may find. The best thing to do is to inspect the boxes when you purchase it.